In these Booking Conditions references to 'we', 'our' and 'us' are to Golden Eagle Luxury Trains Limited a company registered in England and Wales (Company Number 02567148) whose registered office is at Denzell House, Dunham Road, Altrincham, Cheshire WA14 4QF. 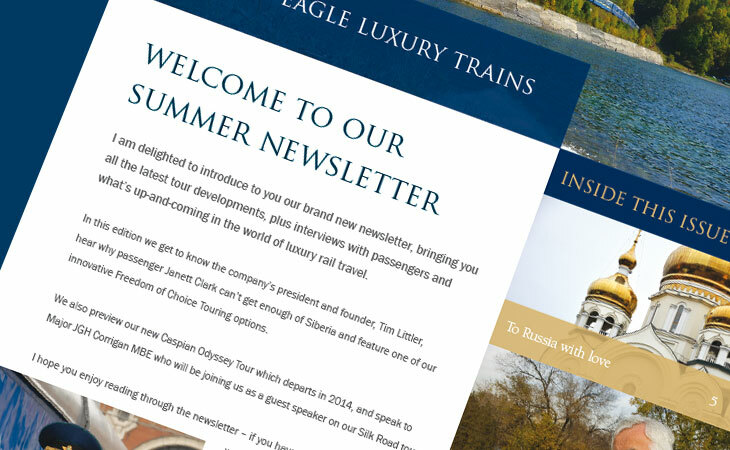 Our email address is mail@goldeneagleluxurytrains.co.uk. Our VAT number is 603 554365. Please read carefully the following conditions to which your booking is subject ("Booking Conditions"). Please also ensure that you have carefully read and understood the relevant tour itinerary, and the pre-departure information featured on our website, all of which form the basis of your contract with us. In these Booking Conditions, references to ‘you’ or ‘your’ include the first named person on the booking and all persons on whose behalf a booking is made or any other person to whom a booking is added or transferred. PLEASE LET US KNOW IF YOU NEED AN ALTERNATIVE VERSION OF THESE BOOKING CONDITIONS SUCH AS LARGE PRINT, BRAILLE OR CD. 1.1	We aim to avoid surprise or disappointment by informing you of the following matters at this stage and if you have any doubts or concerns please raise these with us. Most customers acknowledge these matters as part of the travelling experience. 1.2	Please be aware that some of the facilities you encounter on our tours may not be to the standard which you may find on a conventional holiday or at home, except for the hotels and trains we use. We often travel in areas which, relatively speaking, have seen few tourists and the infrastructure is often not fully developed. Whilst services are improving, by signing these Booking Conditions you understand that there may be problems with plumbing, bureaucratic service, unpaved and uneven surfaces, the non-availability of public restrooms and similar. 1.3	Please be aware that in operating our tours we rely upon other people and businesses. Tours do not always run as planned and, whilst we will always try our best to stick to the planned itinerary, please treat it as a guide rather than a strict timetable. Although we cannot always please all parties when changing an itinerary, our clients should anticipate changes being required. 2.1	When you make a booking you guarantee that you have the authority to accept and do accept on behalf of your party the terms of these Booking Conditions. We do not accept a booking and no contract exists between us until we receive your deposit (or full payment if booking within 60 days of departure), we confirm your booking in writing (the “Booking Confirmation”) and if appropriate, we receive a signed Booking Form. The Booking Form, these Booking Conditions, and any other written information we brought to your attention before we confirmed your booking, form the basis of the contract between us. If your confirmed arrangements include a flight, we (or if you booked via an authorised agent of ours, that agent) will also issue you with an ATOL Certificate. 2.2	A Booking Confirmation and ATOL Certificate will be sent to you or, if you booked through an agent, to your agent upon receipt of the Booking Form (if appropriate) and deposit. The Booking Confirmation will specify exactly what has been requested by you or your travel agent and it is your responsibility to check the Booking Confirmation and ATOL Certificate and advise us, or your travel agent, immediately in the event of any error as changes cannot be made later. 2.3	Any money paid to an authorised agent of ours in respect of a booking covered by our ATOL is held by that agent on behalf of and for the benefit of the Trustees of the Air Travel Trust at all times, but subject to the agent’s obligation to pay it to us for so long as we do not fail financially. If we do fail financially, any money held at that time by the agent or subsequently accepted from the consumer by the agent, is and continues to be held by that agent on behalf of and for the benefit of the Trustees of the Air Travel Trust without any obligation to pay that money to us. 2.4	You are required to make us are aware of any special requirements when making your booking (such as those relating to your health and dietary requirements and room types in hotels e.g. twin or double). Whilst every effort will be made by us to try and arrange your reasonable special requests, we cannot guarantee that they will be fulfilled. The fact that a special request has been noted on your confirmation invoice or any other documentation or that it has been passed on to the supplier is not confirmation that the request will be met. Failure to meet any special request will not be a breach of contract on our part unless the request has been specifically confirmed. We do not accept bookings that are conditional upon any special request being met. 2.5	We are not a specialist disabled holiday company, but we will do our utmost to cater for any special requirements you may have. If you or any member of your party has any medical problem or disability which may affect your stay, please provide us with full details before we confirm your booking so that we can try to advise you as to the suitability of your chosen arrangements. We may require you to produce a doctor’s certificate certifying that you are fit to participate in the tour. Acting reasonably, if we are unable to properly accommodate the needs of the person(s) concerned, we will not confirm your booking or if you did not give us full details at the time of booking, we will cancel it and impose applicable cancellation charges when we become aware of these details. 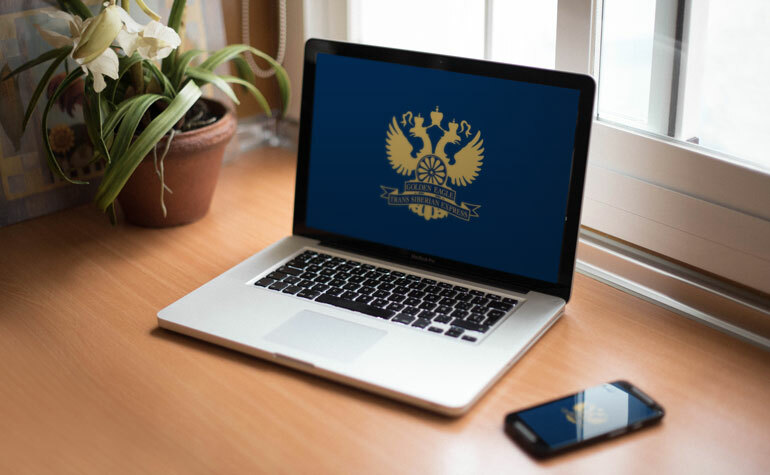 3.1	We endeavour to ensure that all the information and prices on our website are accurate, however occasionally changes and errors occur and we reserve the right to correct prices and other details in such circumstances. You must check the current price and all other details relating to the arrangements that you wish to book before you make your booking. 4.1	It is a condition of your booking and your responsibility to ensure that you have sufficient and valid travel insurance to cover your booking with us. We reserve the right to decline your booking if adequate proof of such current and valid travel insurance is not provided to us when requested in accordance with clause 4.2 below. Please note that we do not check individual policies for suitability. Upon request, we can refer you to an insurance broker for travel insurance; however we make no recommendation as to the suitability of, and accept no liability whatsoever in relation to, such insurance broker and or the travel insurance provided. It is your responsibility to ensure that the insurance fully covers all your personal requirements including cancellation charges, pre-existing medical conditions, medical expenses and repatriation in the event of accident or illness. 4.2	You must supply us with the name, address and telephone number of your insurers, your policy number and the 24 hour medical emergency telephone number at least six weeks prior to travel. Any pre-existing medical conditions must be declared both to us and to your insurer; failure to do so may invalidate your travel insurance policy. 4.3	If you choose to travel without adequate insurance cover, we will not be liable for any losses howsoever arising, in respect of which insurance cover would otherwise have been available. 5.1	We reserve the right to alter the prices of tours shown in our brochure and or on our website at any time. You will be advised of the current price of the tour prior to the Booking Confirmation. We also reserve the right to correct errors in the prices of confirmed bookings. 5.2	You must pay the deposit required within 7 days of receiving our initial invoice (or full payment if booking within 60 days of departure). The initial invoice is not a booking confirmation but simply a request from us for payment of the deposit. Deposit amounts may vary dependant on the tour and cabin type. The deposit amounts are indicated for each tour on the price grid, but may be subject to change and you will be notified of the exact deposit amount at the time of booking. If you do not pay the deposit within 7 days of receipt of the invoice, we will not accept your booking. 5.3	We accept payment by cheque, credit card and debit card. 5.4	If you do not supply the correct credit or debit card billing address and/or cardholder information, the issue of your tickets may be delayed and the overall costs may increase. We reserve the right to cancel your booking and levy cancellation charges if payment is declined or if you have supplied incorrect credit card information. We also reserve the right to undertake checks (including the electoral roll) in order to minimise credit card fraud. 5.5	We only accept payments in US Dollars with the exception of UK residents (payments in £ Sterling) and residents of the ‘Euro-zone’ countries (payments in Euros). 5.6	We must receive the balance due in relation to your booking at least 60 days prior to the tour departure date or in full, upon receipt of the invoice, if the booking is made 60 days or less from the tour departure date. Please note that we will not send a further invoice for payment of the balance and it remains your responsibility to ensure the balance is paid by the due date. If full payment is not received in cleared funds 60 days prior to the tour departure date then we reserve the right to treat the booking as cancelled and the appropriate cancellation charges will apply. 5.7	The price of your travel arrangements has been calculated using exchange rates in relation to the following currencies – US Dollars ($), Sterling (GBP) and Euros (€). 5.10	Should the price of your holiday go down due to the changes mentioned above, then any refund will be paid to you less an administrative fee of £100. However, please note that travel arrangements are not always purchased in local currency and some apparent changes have no impact on the price of your travel due to contractual and other protection in place. 5.11	There will be no change made to the price of your confirmed holiday within 20 days of your departure nor will refunds be paid during this period. 6.1	If you wish to alter your booking (for example, a change of date or transfer details) we will do our utmost to make these changes but it may not always be possible to make changes particularly close to the tour departure date. Certain changes (e.g. flight bookings, extra nights and alterations to train accommodation) may not be made or accepted within 45 days of the tour departure date and any alteration request could incur a cancellation charge of up to 100% of that part of the arrangements. Any request for an alteration to a booking must be made in writing by the person who made the booking in accordance with Clause 2.1 or your travel agent. We reserve the right to charge an administration fee of £50 per amendment and any further charge to cover any costs and fees we incur. You should be aware that these costs may increase the closer to the tour departure date that changes are made and therefore any request for a change should be made as soon as possible. 6.3	Cutting your holiday short: If you are forced to return home early, we cannot refund the cost of any travel arrangements you have not used. If you cut short your holiday and return home early in circumstances where you have no reasonable cause for complaint about the standard of accommodation and services provided, we will not offer you any refund for that part of your holiday not completed, or be liable for any associated costs you may incur. Depending on the circumstances, your travel insurance may offer cover for curtailment and we suggest that any claim is made directly with them. If the reason for your cancellation is covered under the terms of your travel insurance policy you may be able to reclaim the cancellation charges. 7.2	Cancellation by You due to Unavoidable & Extraordinary Circumstances You have the right to cancel your confirmed holiday before departure without paying a cancellation charge in the event of “unavoidable and extraordinary circumstances” occurring at your holiday destination or its immediate vicinity and significantly affecting the performance of the holiday or significantly affecting transport arrangements to the destination. In these circumstances, we shall provide you with a full refund of the monies you have paid but we will not be liable to pay you any additional compensation. Please note that your right to cancel in these circumstances will only apply where the Foreign and Commonwealth Office advises against travel to your destination or its immediate vicinity. For the purposes of this clause, “unavoidable and extraordinary circumstances” means warfare, acts of terrorism, significant risks to human health such as an outbreak of serious disease at the travel destination or natural disasters such as floods, earthquakes or weather conditions which make it impossible to travel safely to the travel destination. 8.1	Arrangements for our tours are made many months in advance and occasionally changes may have to be made (including but not limited to the cancellation and/or substitution of guest speakers) and we reserve the right to do so at any time. Most of these changes will be insignificant (e.g. 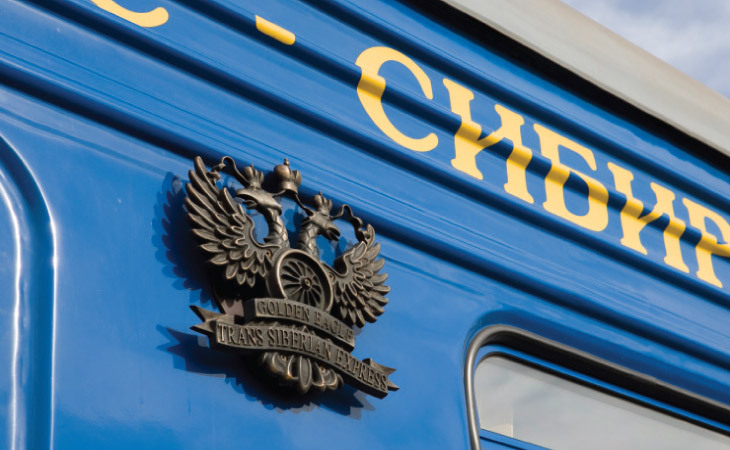 a modified service of carriages attached to a regular service train) and we will advise you or your travel agent of them as soon as possible. 8.2	Changes: If we make an insignificant change to your holiday, we will make reasonable efforts to inform you or your travel agent as soon as reasonably possible if there is time before your departure but we will have no liability to you. Examples of insignificant changes include alteration of your outward/return flight by less than 12 hours, changes to aircraft type, change of accommodation to another o the same or higher standard, changes of carriers. Please note that carriers such as airlines used in the brochure may be subject to change. -	A change of UK departure airport, as long as that change is not from one London airport to another London airport. London airports are Heathrow, Gatwick, Stansted, Luton and London City. -	A significant change to your itinerary, missing out one or more destination entirely. 8.4	Due to changes in airline schedules or other operating reasons after our tours are booked, it is sometimes necessary to change the airline, airport or aircraft notified to you or your travel agent. Any changes to the actual airline after you have received your tickets will be notified to you as soon as possible and in all cases at check-in or at the boarding gate. Such a change is deemed to be an insignificant change and the provisions of clause 8.1 (as appropriate) shall apply. 8.5	On rail tours that include haulage by specific locomotives, travel in specific carriages, or on specific lines, whilst every effort will be made to ensure that these features are provided as advertised, there can be occasions when, for reasons outside of our control, the specific features cannot be provided. In this situation we will endeavour to provide alternative traction, accommodations or routing such as the circumstances allow. If we cannot make suitable alternative arrangements or if you refuse to accept these for good reason, we will arrange to transport you back to your tour departure point or to the point our contracted services commenced as soon as we reasonably can. 8.6	However, we and our agents at all times reserve the right to make such substitutions in relation to aspects of the tour for mechanical, operating or other matters required for reasons beyond our reasonable control (such as any war or terrorist activities (threatened or actual), riot, civil unrest, closure of airports, industrial action (threatened or actual), political conditions, natural or nuclear disaster, fire, adverse weather conditions, changes to or cancellation of air, river, sea or rail services or any other events outside our reasonable control). 8.7	We reserve the right on occasions (at our sole discretion), due to effective load management procedures on the train, to provide cabin upgrades for selected passengers without additional charge. Such cabin upgrades are not guaranteed, cannot be requested and may only be notified on the first day of the tour. 8.8	We and our agents at all times reserve the right, without liability to you, to cancel and or amend any programme of guest speakers without notice to you and this shall always be a minor change. For the avoidance of doubt, you shall not be entitled to cancel your tour and or any refund of monies paid by you, due to the cancellation and or amendment to a programme of guest speakers. In the event that you cancel your tour due to such reasons, the cancellation charges set out in clause 7.1 shall apply. 9.1	Cancellation: We will not cancel your travel arrangement less than 60 days before your departure date, except for reasons of force majeure or failure by you to pay the final balance. We may cancel your holiday before this date if e.g. the minimum number of clients required for a particular travel arrangement is not reached. If we cancel or make a significant change and you accept a refund, we will provide a full refund of your travel insurance premiums if you paid them to use and can show that you are unable to transfer or reuse your policy. 10.1	The trains used for our tours usually run on busy main lines, cover huge distances and operate to pre-agreed schedules. Occasionally operational, mechanical or other reasons beyond our control can cause delays resulting in rescheduling, reducing or cancelling parts of the cultural and sightseeing program in order to maintain our overall schedule. On our specialist steam hauled tours delays are not unusual as there are no longer servicing points for these historic locomotives. 10.2	No refunds will be made if time constraints dictate that elements of the cultural and sightseeing program or route are reduced to maintain our overall schedule or if any accommodation, sightseeing, meals or services are not utilised. 11.1	Many of the services which make up your holiday are provided by independent suppliers. Those suppliers provide these services in accordance with their own terms and conditions which will form part of your contract with us. Some of these terms and conditions may limit or exclude the supplier's liability to you, usually in accordance with applicable International Conventions. Copies of the relevant parts of these terms and conditions are available on request from us or the supplier concerned. 12.1	Your specific passport and visa requirements, and other immigration requirements are your responsibility and you should confirm these with the relevant Embassies and or Consulate, however general information about passport and visa requirements which apply to British Citizens is set out in our tour update letter. 12.2	Generally a full passport with at least 6 months validity from the end of the tour is required for all our tours. Most countries now require passports to be valid for at least 6 months after your return date. If your passport is in its final year, you should check with the Embassy of the country you are visiting. For further information contact the Passport Office on 0870 5210410 or visit https://www.gov.uk/browse/citizenship/passports. It is your responsibility to check your passport, visas and air tickets to ensure that they have been issued correctly for the correct dates and to advise us, or your travel agent, immediately in the event of any error. Any guidance we provide is provided in good faith however you and other members of your party should ensure that you obtain all the necessary documentation and visas prior to departure as we accept no responsibility if you cannot travel or for the refused or delayed entry of a passenger into a country because of incorrect documentation and/or you have not complied with any passport, visa or immigration requirements. Any repatriation charges will be the responsibility of the passenger. 12.3	Please note that in the event you are unable to obtain a visa, have an issued visa revoked or are otherwise unable to travel to your chosen destination due to changes in foreign policy, government or state regulations, visas rules or other such political reasons, we shall have no liability to you. We will not be liable to provide you with any refunds or compensation. You may be able to rely on your travel insurance in these circumstances. 12.4	Non-British passport holders, including other EU nationals, should obtain up to date advice on passport and visa requirements from the Embassy, High Commission or Consulate of your destination or country(ies) through which you are travelling. 12.5	We do not accept any responsibility if you cannot travel, or incur any other loss because you have not complied with any passport, visa, immigration requirements or health formalities. You agree to reimburse us in relation to any fines or other losses which we incur as a result of your failure to comply with any passport, visa, immigration requirements or health formalities. 12.6	Up to date travel advice can be obtained from the Foreign and Commonwealth Office, visit https://www.gov.uk/travelaware. More information can be found in Clause 29. 13.1	Travel documents will be issued after receipt by us of the full price or final balance for the tour and not normally later than fourteen days prior to departure. Tickets are usually available on departure when a booking is made within 7 days of departure. Please take your Booking Confirmation with you on departure. It is your responsibility to contact us immediately upon receipt of your travel documents in the event that they contain any errors. 14.1	Airline free baggage allowances can vary depending upon the airline and we recommend that you check your flight tickets and/or contact the relevant airline if in doubt. Baggage maximum weight limits on trains, used for our tours are 50kg per person which should not be exceeded without our prior approval. 14.2	Where private aircraft are included in the tour itinerary there will be a baggage maximum weight limit which will be advised to you approximately 90 days prior to the tour departure date. 15.1	We will accept responsibility for the arrangements we agree to provide or arrange for you as an “organiser” under the Package Travel, and Linked Travel Arrangement Regulations 2018 as set out below and as such, we are responsible for the proper provision of all travel services included in your package, as set out in your confirmation invoice. Subject to these booking conditions, if we or our suppliers negligently perform or arrange those services and we don’t remedy or resolve your complaint within a reasonable period of time, we will pay you reasonable compensation. The level of such compensation will be calculated taking into consideration all relevant factors such as but not limited to: following the complaints procedure as described in these conditions and the extent to which ours or our employees’ or suppliers’ negligence affected the overall enjoyment of your holiday. Please note that it is your responsibility to show that we or our supplier(s) have been negligent if you wish to make a claim against us. 15.4 It is a condition of our acceptance of liability under this clause that you notify any claim to ourselves and our supplier(s) strictly in accordance with the complaints procedure set out in these conditions. You agree to co-operate fully with us in respect of any legal proceedings which we may take against a third party in relation to the non-performance or improper performance of the services involved in providing the tour supplier. 15.5	Where any payment is made, the person(s) receiving it (and their parent or guardian if under 18 years) must also assign to ourselves or our insurers any rights they may have to pursue any third party and must provide ourselves and our insurers with all assistance we may reasonably require. 15.6 Please note, we cannot accept any liability for any damage, loss or expense or other sum(s) of any description: (a) which on the basis of the information given to us by you concerning your booking prior to our accepting it, we could not have foreseen you would suffer or incur if we breached our contract with you; or (b) relate to any business. 15.7	Excursions or other tours not provided by us that you may choose to book or pay for whilst you are on our tour are not part of the tour provided by us. For any such excursion or tour that you book, your contract will be with the operator of the excursion or tour and not with us. We are not responsible for the provision of such excursion or tour or for anything that happens during the course of the provision by the operator. 15.8	Where it is impossible for you to return to your departure point as per the agreed return date of your package due to “unavoidable and extraordinary circumstances”, we shall provide you with any necessary accommodation (where possible, of a comparable standard) for a period not exceeding three nights per person. Please note that the 3 night cap does not apply to persons with reduced mobility, pregnant women or unaccompanied minors, nor to persons needing specific medical assistance, provided we have been notified of these particular needs in advance. For the purposes of this clause, “unavoidable and extraordinary circumstances” mean warfare, acts of terrorism, significant risks to human health such as the outbreak of serious disease at the travel destination or natural disasters such as floods, earthquakes or weather conditions which make it impossible to travel safely back to your departure point. 16.1	If you or any member of your party misses your flight or other transport arrangement, it is cancelled or you are subject to a delay of over 3 hours for any reason, you must contact us and the airline or other transport supplier concerned immediately. 16.2	Prompt Assistance: If, whilst you are on holiday, you find yourself in difficulty for any reason, we will offer you such prompt assistance as is appropriate in the circumstances. In particular, we will provide you with appropriate information on health services, local authorities and consular assistance and assistance with distance communications and finding alternative travel arrangements. Where you require assistance which is not owing to any failure by us, our employees or sub-contractors we will not be liable for the costs of any alternative travel arrangement or other such assistance you require. Any supplier, airline or other transport supplier may however pay for or provide refreshments and/or appropriate accommodation and you should make a claim directly to them. Subject to the other terms of these Booking Conditions, we will not be liable for any costs, fees or charges you incur in the above circumstances, if you fail to obtain our prior authorisation before making your own travel arrangements. Furthermore, we reserve the right to charge you a fee for our assistance in the event that the difficulty is caused intentionally by you or a member of your party, or otherwise through your or your party’s negligence. 16.3	Under EU Law, you have rights in some circumstances to refunds and/or compensation from the airline in cases of denied boarding, cancellation or delay to flights. Full details of these rights will be publicised at EU airports and will also be available from airlines. If the airline does not comply with these rules you should complain to the Civil Aviation Authority at www.caa.co.uk/passengers. Reimbursement in such cases is the responsibility of the airline and will not automatically entitle you to a refund of your holiday price from us. If, for any reason, you do not claim against the airline and make a claim for compensation from us, you must, at the time of payment of any compensation to you, make a complete assignment to us of the rights you have against the airline in relation to the claim that gives rise to that compensation payment. A delay or cancellation to your flight does not automatically entitle you to cancel any other arrangements even where those arrangements have been made in conjunction with your flight. 16.4	We cannot accept liability for any delay which is due to any of the reasons set out in clause 17 of these Booking Conditions (which includes the behaviour of any passenger(s) on any flight who, for example, fails to check in or board on time). 16.5	The carrier(s), flight timings and types of aircraft shown in this brochure or on our website and detailed on your confirmation invoice are for guidance only and are subject to alteration and confirmation. We shall inform you of the identity of the actual carrier(s) as soon as we become aware of it. The latest flight timings will be shown on your tickets which will be despatched to you approximately two weeks before departure. You should check your tickets very carefully immediately on receipt to ensure you have the correct flight times. If flight times change after tickets have been dispatched we will contact you as soon as we can to let you know. 16.6	Please note the existence of a “Community list” (available for inspection at http://ec.europa.eu/transport/air-ban/list_en.htm) detailing air carriers that are subject to an operating ban with the EU Community. 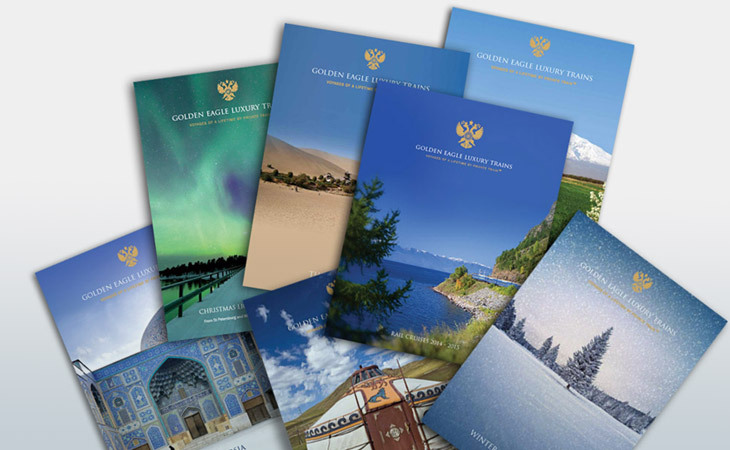 16.7	This brochure is our responsibility, as your tour operator. It is not issued on behalf of, and does not commit the airlines mentioned herein or any airline whose services are used in the course of your travel arrangements. 17.1	Except where otherwise expressly stated in these Booking Conditions, we will not be liable or pay you compensation if our contractual obligations to you are affected by ”unavoidable and extraordinary circumstances”, meaning any event beyond our control, the consequences of which could not have been avoided even if all reasonable measures had been taken. Examples include warfare and acts of terrorism (and threat thereof), civil strife, significant risks to human health such as the outbreak of serious disease at the travel destination or natural disasters such as floods, earthquakes or weather conditions which make it impossible to travel safely to the travel destination or remain at the travel destination, the act of any government or other national or local authority including port or river authorities, industrial dispute, lock closure, natural or nuclear disaster, fire, chemical or biological disaster, unavoidable technical problems with transport and all similar events outside our of the supplier(s) concerned control..
17.2	Brexit Implications: please note that certain travel arrangements may be affected as a result of the United Kingdom’s decision to leave the European Union. This could include an unavailability of certain flight routes, access to certain ports and airports and changes to the visa requirements of British citizens travelling to, within or through the EU. Please rest assured that this is something we will continue to monitor and will advise our customers as soon as possible if we become aware of any confirmed bookings that will be affected. However, since this is something which is completely unprecedented and outside our control, we would treat any such changes as Force Majeure, and whilst we will endeavour to provide suitable alternative arrangements or refunds where possible, we will not be liable to pay you any compensation. 18.1	Railways are busy and potentially dangerous places. If you alight other than at scheduled stops at recognised stations, or visit any railway installation, whether included or not in the tour, you do so entirely at your own risk and are advised that your travel insurance MAY NOT cover you in case of mishap. Permission to travel on the locomotives, or on any other part of the train not normally accessible, may be given during the tour however you do this entirely at your own risk. 19.1	As the tour involves travelling in a group you agree to accept the full authority of our designated Tour Manager. 19.2	Passengers are expected to behave in a reasonable manner toward other passengers, our personnel and other persons with whom passengers have contact during our tour. We reserve the right at our absolute discretion to terminate without notice the tour arrangements of any passenger whose behaviour is such that it does or is likely to, in our reasonable opinion, or in the opinion of any airline pilot, Tour Manager, accommodation owner or manager, their servants or agents or any other person in authority, cause distress, damage, danger or annoyance to any of our other customers, employees or any other person, or to cause damage to property. In these circumstances we may require that the relevant passenger leave the tour as soon as practicable. In such circumstances we will not be liable for any refund, compensation or costs incurred by you and or the relevant passenger whatsoever. 19.3	You and/or your party may also be required to pay for loss and/or damage caused by your actions and we will hold you and each member of your party jointly and individually liable for any damage or losses caused by you or any member of your party. Full payment for any such damage or losses must be paid directly to the hotel manager or other supplier prior to departure. If you fail to make payment, you will be responsible for meeting any claims (including legal costs) subsequently made against us as a result of your actions together with all costs we incur in pursuing any claim against you. 19.4	We cannot be held responsible for the actions or behaviour of other guests or individuals who have no connection with your booking arrangements or with us. 20.1	Where air travel is included in the tour price and where flights are taken as an option in our brochure, you benefit from ATOL protection. We provide this security by way of Air Travel Organiser's License granted by the Civil Aviation Authority of CAA House, 45-59, Kingsway, London WC2B 6TE under ATOL number 3408. When you buy an ATOL protected flight or flight inclusive holiday from us you will receive an ATOL Certificate. This lists the flight, accommodation, car hire and/or other services that are financially protected, where you can get information on what this means for you and who to contact if things go wrong. In the unlikely event of our insolvency, where you have booked and boarded an international flight from the U.K., the CAA will ensure that you are not stranded abroad or will arrange to refund to you any money you have paid to us for an advance booking. For further information visit the ATOL website at www.atol.org.uk. The price of our flight inclusive arrangements includes the amount of £2.50 per person as part of the ATOL Protection Contribution (APC) we pay to the CAA. This charge is included in our advertised prices. Not all holiday or travel services offered and sold by us will be protected by the ATOL Scheme. ATOL protection extends primarily to customers who book and pay in the United Kingdom. 20.2	We, or the suppliers identified on your ATOL Certificate, will provide you with the services listed on the ATOL Certificate (or a suitable alternative). In some cases, where neither we nor the supplier are able to do so for reasons of insolvency, an alternative ATOL holder may provide you with the services you have bought (at no extra cost to you). You agree to accept that in those circumstances the alternative ATOL holder will perform those obligations and you agree to pay any money outstanding to be paid by you under your contract to that alternative ATOL holder. However, you also agree that in some cases it will not be possible to appoint an alternative ATOL holder, in which case you will be entitled to make a claim under the ATOL Scheme (or your credit card issuer where applicable). 20.3	If we, or the suppliers identified on your ATOL certificate, are unable to provide the services listed (or a suitable alternative, through an alternative ATOL holder or otherwise) for reasons of insolvency, the Trustees of the Air Travel Trust may make a payment to (or confer a benefit on) you under the ATOL scheme. You agree that in return for such a payment or benefit you assign absolutely to those Trustees any claims which you have or may have arising out of or relating to the non-provision of the services, including any claim against us, the travel agent (or your credit card issuer where applicable). You also agree that any such claims may be re-assigned to another body, if that other body has paid sums you have claimed under the ATOL scheme. 20.4	If you book arrangements other than an ATOL protected flight or package holiday from us, your monies will not be financially protected. Please ask us for further details. 21.1	Please ensure that you inform us of any relevant medical conditions or health issues prior to booking a tour. Also inform your Tour Manager at the beginning of the tour. Where possible a doctor will usually be on board during our tours. Please note that our doctors are fully insured for claims brought within the UK, but not elsewhere. Foreign citizens must therefore note that any issues or claims arising from medical treatment are therefore subject to the exclusive jurisdiction of the courts of England and Wales and must be brought within the UK in order for them to benefit from the cover under the insurance policy which has been arranged. 21.2	A moderate degree of physical fitness is needed to participate in our tours, which are rated as moderate to rigorous touring due to the daily walking involved and the overall shortcomings of the tourism infrastructure. You may encounter unpaved sidewalks, uneven surfaces and problems getting on and off trains (perhaps due to low platforms, steep steps and gaps between the platform and the train). On the trains used for the tour, restaurant, bar and shower cars may be some distance from your sleeping car and although we use reasonable endeavours to arrange porterage you may have to carry your luggage for short distances. Flexibility, a sense of humour, the ability to walk at least a mile a day and keep up with your fellow passengers will be essential components to the enjoyment of your tour. 21.3	In the event that we (at our sole discretion) agree to accept a booking from a passenger who uses a wheelchair, due to the poor facilities available to disabled passengers in many countries visited during the tour and the characteristics of the tour facilities set out in Clause 21.2 above, such passengers must be accompanied for the duration of the tour by at least one person who is willing to push that passenger's wheelchair when required. 21.4	Passengers should refer to guidance published by the Department of Health which is available from travel agents or from the Department of Health - see www.doh.gov.uk. All passengers should check with their doctor before departure as to which inoculations are considered necessary or recommended for the area in which you will be travelling during the tour. Such precautions do not take the place of insurance. In some foreign countries the standard of hygiene and safety may differ from those in the UK. For your own protection you should take particular care with hygiene and to what you eat and drink whilst abroad. 21.5	If in the reasonable opinion of any person in authority (including our Tour Manager acting in accordance with the opinion of a medical practitioner), your physical and or mental condition means that you should not continue with the tour we may require that you leave the tour as soon as practicable. In such circumstances, we will not be liable for any refund, compensation or costs incurred by you whatsoever. 22.1	In order to process your booking we need to use the personal information that you provide. Some of this personal information may be “sensitive personal data” such as details of any disabilities, or dietary/religious requirements. We must pass the personal information we collect to relevant suppliers of your booking such as airlines, hotels and transport companies. The information may also be provided to security or credit checking companies, public authorities such as customs/immigration (if required by them), the Information Commissioner’s Office, and or as required by law. Additionally, where your tour (or part thereof) is outside the European Economic Area (EEA), controls on data protection in your destination may not be as strong as the legal requirements in this country. If we cannot pass this information to the relevant suppliers, whether in the EEA or not, we cannot provide your booking. In making this booking, you consent to this information being passed on to the relevant persons (including but not limited to third parties outside the EEA). You are responsible for ensuring that other members of your party are aware of and consent to this clause. 22.2	We would like to hold information (including email address), where collected by us, for our own future marketing purposes. If you do not wish to receive such approaches in future, please inform us as soon as possible. If any provision of these Booking Conditions shall be found by any court or administrative body of competent jurisdiction to be invalid or unenforceable the invalidity or unenforceability of such provision shall not affect the other provisions of these Booking Conditions and all provisions not affected by such invalidity or unenforceability shall remain in full force and effect. The parties hereby agree to attempt to substitute for any invalid or unenforceable provision a valid or enforceable provision which achieves to the greatest extent possible the economic legal and commercial objectives of the invalid or unenforceable provision. 24.1	In the unlikely event that you have any problem or complaint during your tour please bring it to the attention of the Tour Manager immediately so that he or she has the opportunity to find a solution. Should a problem remain unresolved during the tour then please write to us at your Head/Registered Office promptly upon your return and, in any event, within 28 days of your return from the tour. In the event that you do not tell us in that period this may affect our ability to investigate complaints and may impact on the way that your complaint is dealt with. 24.2	We strongly recommend that you communicate any complaint to the supplier of the relevant services and our representative without delay and complete a report form during the tour. If you do not follow this simple procedure we will have been deprived of the opportunity to investigate and rectify your complaint during the tour and this may affect your rights under these Booking Conditions. 24.3	Please note that we do not offer an Alternative Dispute Resolution service. However, you can access the European Commission Online Dispute (ODR) Resolution platform at http://ec.europa.eu/consumers/odr/. These Booking Conditions and any agreement to which they apply are governed in all respects by English law. We both agree that any dispute, claim or other matter which arises between us out of or in connection with your contract or booking will be dealt with by the Courts of England and Wales only. You may however, choose the law and jurisdiction or Scotland or Northern Ireland if you live in those place and if you wish to do so. You are responsible for making yourself aware of Foreign Office advice and State Department warnings in regard to the safety of the countries and areas in which you will be travelling and to make your decisions accordingly. Advice from the Foreign Office to avoid or leave a particular country may constitute Force Majeure. (See clause 17).